Julie Webb Kelley is a registered nurse with a bachelor's degree in communications. In the last 20 years she has written for newspapers, hospitals and websites. As a breast cancer conqueror, Webb Kelley's passion is writing about women's health and wellness, children's health, and alternative approaches to medicine. In the pediatric population, there may be times when fluid intake and output (I & O) should be tracked. I & O are required when a child is hospitalized; however, there are times when calculating intake and output at home may be necessary. Newborns, low-weight newborns, neonates, children with chronic illnesses, or children recovering from a hospitalization may all at some point require a daily fluid balance to be calculated. I & O is calculated every 24 hours. Use a calculation sheet. An I & O calculation sheet should be provided by the doctor. Although all sheets may differ with each physician, there's an intake column and an output column. Each column is further divided into "routes"--which are how the fluids are taken in or how they come out. Intake routes are oral (by mouth through drinking or feeding tubes that provide liquid nutrition), IV (intravenous catheter fluids and IV medications), rectal (enemas or rectal medications). Output routes are urine (foley catheters, bed pan, diaper), emesis (vomit), liquid stools, or drainage or suction tubes (nasogastric, closed wound drainage or chest). Use one sheet for every 24-hour period. Measure intake. All intake is measured in units called milliliters (mls or ccs). All fluid that is taken into the body, regardless of the route, is considered intake. Ice chips are calculated at half measurement (if one piece of ice equals 10ccs, the ice chips would equal 5ccs). 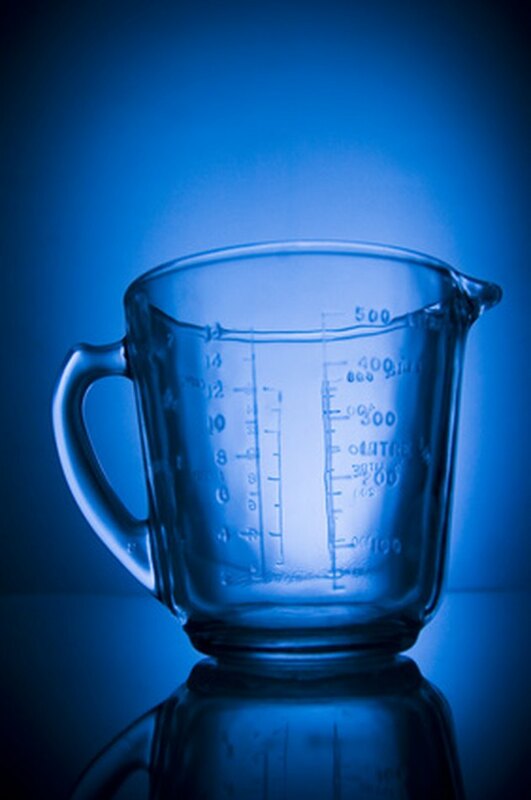 Measure all intake before giving it to the child with a milliliter measuring device. These can be found at a medical supply store or provided by the child’s doctor. Measure output. All output is measured in units called milliliters (mls or ccs). Output can be measured in graduated measuring devices marked with milliliter measurements, usually given to you by the child’s physician. Documenting the route of output is important: Knowing if 30 mls of output is urine or vomit can be useful information to the child’s health care professional. For accurate measurements, keep toilet paper out of the urine. Measure urine output in a diaper. If a child cannot use a bedpan or other measuring device for urinating, a diaper can be weighed. Zero an empty scale that uses gram measurements. Place a dry, new diaper on the scale, zero the scale again, remove the diaper and use it. The scale is now ready to measure a wet diaper. To measure the wet diaper, place it on the scale that has been zeroed with that diaper, and measure the grams. Grams translate to milliliters (1 gram = 1 ml) for your I & O chart. Calculate I & O. Write down all intake and output as it occurs; don’t count on remembering numbers. With suction or drainage tubes or foley catheters, measure the output every four hours unless otherwise indicated. To calculate a 24-hour I & O, add up all intake numbers, then add up all output numbers. Subtract the input from the output. If the number is positive, the child has a positive I & O. If the number is negative, the child has a negative I & O. This positive or negative number is then used by the child’s doctor or nurse to determine further care. Example I & O: Intake = 1420 ml. Output = 1390 ml. 1420–1390 = +30 ml. What Are Normal Potassium Level Ranges? Does a Magnesium Deficiency Cause Eye Twitching?